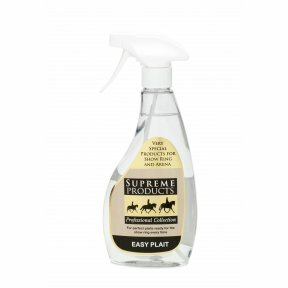 SUPREME PRODUCTS Deluxe Coat Gloss produces the ultimate in coat finishes. 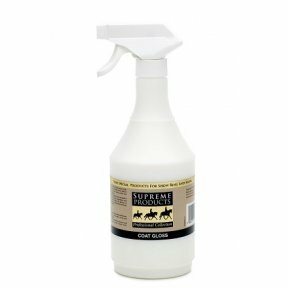 It is specially designed and formulated to achieve perfection on show coats. Being light in texture, easy to apply either to either wet or dry coats and incredibly shiny - without being sticky, tacky, static or oily - Deluxe Coat Gloss is in a class of its own. Coat Gloss can be applied to a dry coat or to a wet coat immediately after bathing. 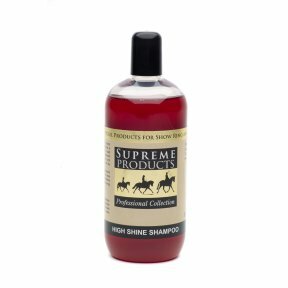 A Superior mane and tail dressing which produces body, glamour and shine. 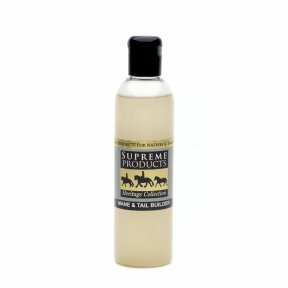 Supreme Products Sparkle can be used as an all over body 'extra.' 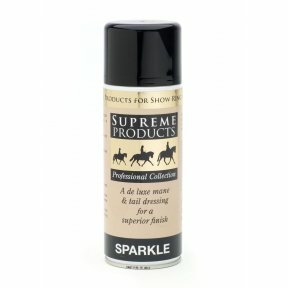 Sparkle contains citronella and a detangler and can be sprayed directly from the can or on to a soft cloth or brush to disperse. 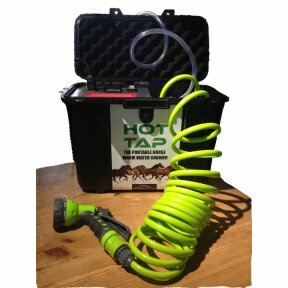 This product is fantastic for use on sunny days and under artificial light - a 'must' for evening performances! 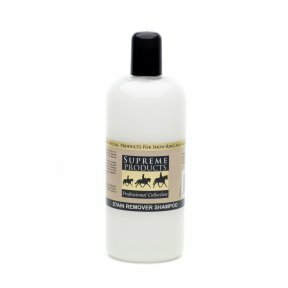 Use Supreme Products Mane & Tail Builder to help generate hair growth for damaged or rubbed manes and tails and also to calm skin conditions. 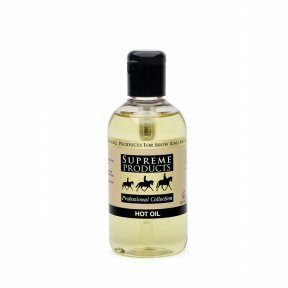 Can be used to help promote hair growth on rubbed patches on the skin also. 250ml. 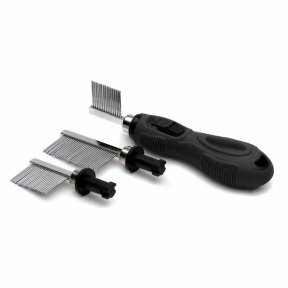 The brand new quarter marking comb from Supreme Products comprises of one ergonomically designed handle and 3 interchangeable quarter marking comb heads which can be locked in to place in the handle, enabling you to produce immaculate quarter marks. Use Easy Plait to help produce perfect plaits every time and keep plaits looking neat and pristine, even when plaiting up the night before. 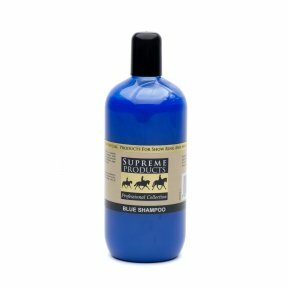 Equally good on wet or dry manes. This valuable tool can be used to unpick plaits without removing valuable mane hairs. 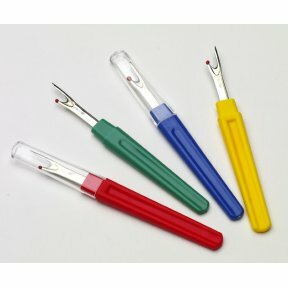 Use to gently cut and pick out the plaiting threads. One size.